It is time for the MLB to join the modern era by translating the often unclear umpire muttering and connecting them to the rest of us at home. 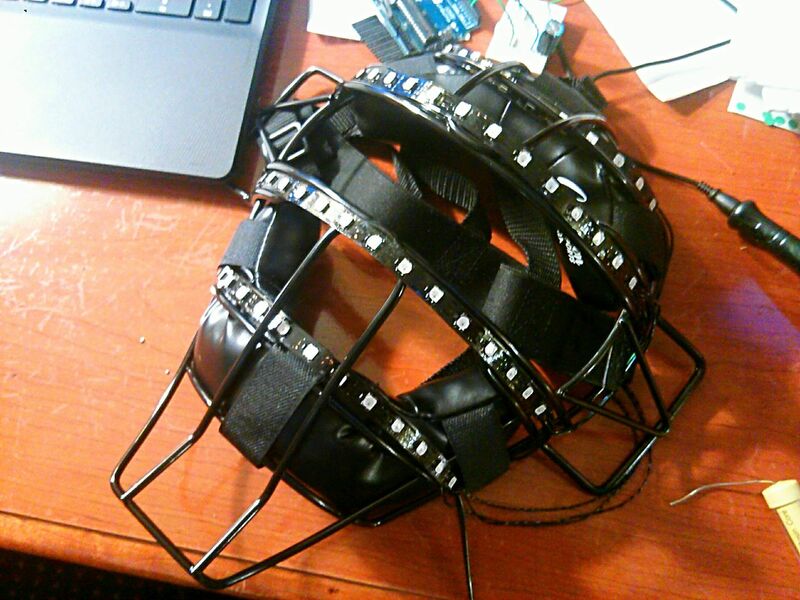 In our first #OneDayBuild comes the Arduino Umpire Mask that delivers an immediate visual response to that crucial life or death call. Not a software designer, so simply close your eyes and imagine that the Counter App is also IoT and seamlessly updating several resources. Shout out to umpires young and old who wear these bulbous masks; holy cripes! Shout out to Leslie Nielsen -- you are missed. An abandoned Home Depot commercial from 2003(g)? Cancer is a serious diagnosis. Allow Dr. Miller to trigger you in to a comforted demise. The medicinal knowledge displayed is on par with other ASMR role play videos. Do not employ this method of advanced procedure to diagnosis your self. Admittedly poorly paced and toned for a proper role play of an ASMR role play. While constantly reminded how much it displeases me to be on camera, some lighting angles shove it in, deep, and break it off inside. I am not half asleep, merely victim to biology and misplaced fluorescence.